When a man is into to you, then he will show you. However, when a man doesn’t want to be with you well let just say you will see those signs much clearer. We all want love, even the ones who claimed they don’t believe in love, wish that love will fall into their lap. We all have a soul mate, but it's not the person we painted in our mind. We all meet that guy who sweep us off our feet, but he either play with our emotions, put us in the friend department. Or he'll hit and quit it. Either way, he leaves us lingering feelings that we have no control over. Well I’m here to drop the signs that he just not into you. This list is also go for the guys who shoot their shot with women that won’t give him the time of day. Everyone definition of love is different. While we love to picture our soul mate, they will just be everything that we didn't want but everything that we desperately need. While we can try and picked our soul mate; our soul mate has already been chosen. Love is amazing when we share with someone who feels the same as we do. 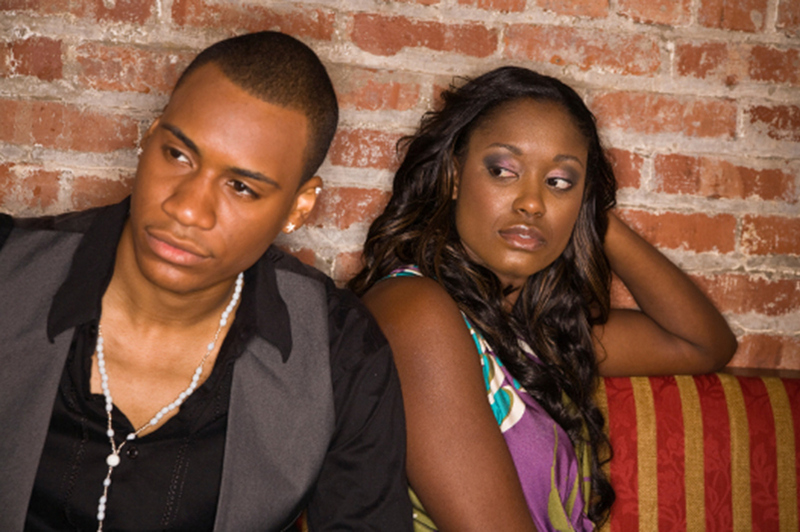 So, here are the signs that he just not into you. Any guy who repeatedly makes excuses or not making time for you isn’t worth your time. The usual ones are; he’s too busy, he’s tired, something happened at work. If it happened once or twice, then it’s not a big deal. Cause when you’re a dating a man with a vision then he won’t always be free. He will be tired, and he will be working but when he into to you then he will make time for you. But if he’s always canceling on you at the last minute then it’s a clear indication that he doesn’t value your time, therefore he isn’t bothered about not seeing you. When a guy is really interested, he’s not going to leave you hanging. He will want to see you at every opportunity, even if it means putting other things on hold. Even when his friends called him, and asked him if he want to go out. But if he always making excuses when it comes to you, then you should let this one go – he’s not into you. When someone take the time to text or call you that’s usually a good indication of their level of interest in you. However, when you reply within minutes but he takes a lot longer, well that an early sign of what he thinks of you. Of course, some people are slower at replying for many reasons. He could be at work. He could have left his phone in another room. Or he's in a area where he doesn't get good phone connection. But if he takes a day or two to reply then it’s usually a clear sign that he’s not interested in you. If he takes even longer than that, you have a definite answer of what he thinks about you. Also, notice the length of his messages. Does he send one worded replies? Or a simple ‘yeah’ or ‘I don’t know’ which shows he’s not really engaged in the conversation. If he was interested he would send longer messages and ask questions to find out more about you. He would make an effort to keep the conversation going. Short replies usually indicate that a conversation is coming to an end, and he is looking for a way to let you down. Nothing says, ‘I don’t like you’ as much as a guy who talks about his relationships with other women. If he casually mentions other women in the conversation, and you two wasn’t even on the topic of past lovers that’s a very likely sign that he doesn’t see you in a romantic sense. There’s a very small chance that he is trying to make you jealous or at least get your attention to see if you’re into him, but a guy usually wouldn’t risk losing you or your interest by doing this. And if he starts talking about having feelings for another woman, then you can be sure that he isn’t interested in you. However, this can also mean that he’s not ready for a relationship. If he shared his interests in other women, or shared that he’s talking to other women than he’s giving you the opinions to either stay or go. He’s playing the field. He not ready to claim any woman, until he's ready for a relationship. As I come to learned, women don’t pay attention to men body language. His body language will tell you how he feels about you before his words tell you. When a guy likes you, he might not say so directly, but his body language will show his interest. He’ll lean towards you to build intimacy, he will find reasons to touch your shoulder or arm (like when he makes you laugh). It’s easy to miss these cues because we love words more than actions. However, you’ll definitely notice them subconsciously – they’re a big part of the reason why you think he likes you in the first place. 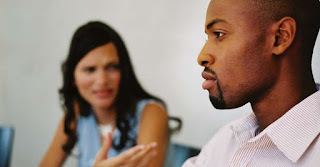 However, you’ll definitely notice when his body language has change, this is the first sign that he no longer into you. If his body language changed in a big way towards you, and he’s no longer making an effort to show his interest, and he's not touching you, or looking like he’s happy to be around you–that’s a big sign that his feelings for you have changed, and what about to come which leave me to the last sign. This is one of the most obvious indications that he doesn’t like you, and he was never into to you in the first place. Disappearing for days or weeks at a time, or ‘ghosting’ shows a great disregard of your feelings and therefore he’s not worth an inch of your time. There are many factors on why he chose ghosted you, it could be that he has found someone else, or that he didn’t know how to tell you that he wasn’t interested in you. Whatever the reason might be, he should’ve be honest with you instead of leaving you wondering what happened, or having you blaming yourself. Any guy who disappears out of the blue isn’t the type of person you want to commit yourself to in the first place. These types of people are unsure of themselves and find it difficult to commit to just one person. You don’t need them in your life, find someone who will match your feelings. Nonetheless, pay attention to the signs. Before a “ghosting” takes place, he usually shows you signs of what he’s about to do. It’s in his body language and in his conversation. Don’t be so wrapped up in your feelings, that you missed the signs of what about to come. When something just doesn’t feel right. You feel insecure and unsure of yourself, and that’s not typically like you. You question his motives, and you question you motives and why do you want to be with this person. If you’re wondering and analyzing and asking your friends for their opinions about his behavior, it’s a good sign your gut is telling you he’s losing interest; and this isn’t the man for you. When a man likes you, it’s obvious. If you have to ask yourself whether or not he still likes you, the answer is probably no. When the love is real, it won’t be no doubt or question you will just know. But hey as I always say, what do I know I’m just here to share my thoughts on my journey of self.